During the course of his career, he worked with Burt Lancaster and John Wayne, Shelley Winters and Joan Fontaine; caroused with playwrights Tennessee Williams and Arthur Miller; crossed egos with Dustin Hoffman; [and] painted houses with Nicholas Colasanto (the guy who played Coach on Cheers). Still, Goldsmith faced some demons. Once his Hollywood career trailed off, he started a company that “marketed waterless car-wash products” and, at one time, made “$150 million a year in profits” before crashing and burning for mysterious reasons. Goldsmith was living out of the bed of his truck when he scored the role of The Most Interesting Man In The World. 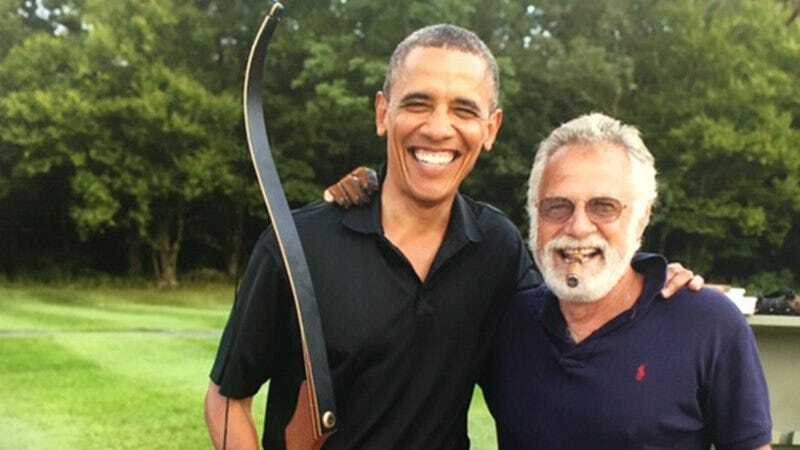 His entire story is interesting, as is his response to Dos Equis cutting him loose as a spokesman last year, so the entire article is worth a read. Or you can pick up his forthcoming autobiography, which is sure to have some details about those nine Buddhists.